The Micro 12™ High Speed Microcentrifuge is perfect for small volume samples, quick spin downs, cell and bacteria separations and various nucleic acid tests. Micro 12™ High Speed Microcentrifuge can also be used to separate DNA due to its maximum spin speed of 14,000 rpm and a maximum relative centrifugal force of 16,000 g.
Micro 12™ High Speed Microcentrifuge is ideal for use in busy labs where space is at a premium. The brushless motor ensures whisper-quiet operation whilst the compact footprint of the centrifuge is the equivalent to an A4 sheet of paper. The high speed microcentrifuge’s flexibility means that it can accommodate tubes up to 2 mL in diameter, allowing for a range of different applications. 1. 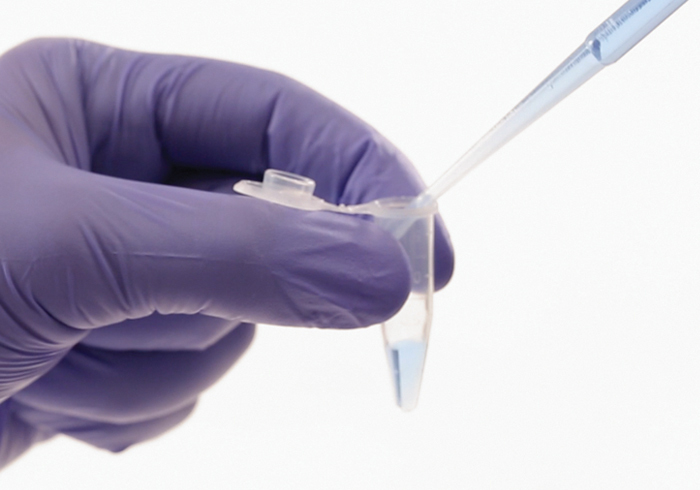 Pipette sample into tube. 2. Place tube and counterweight into rotor. 3. Select spin speed and time. 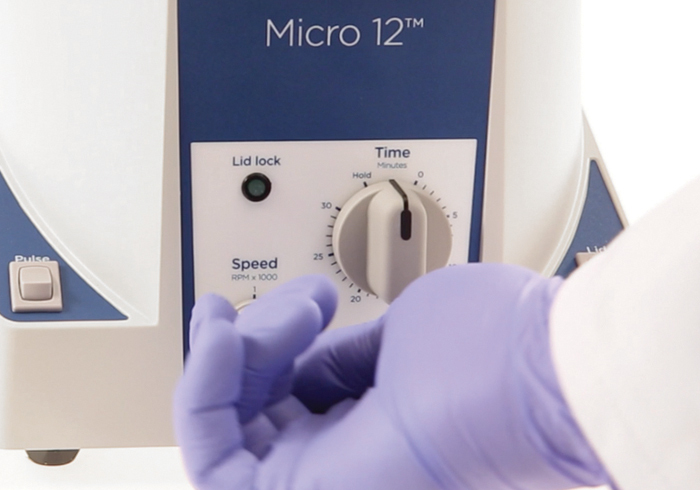 The Micro 12™ is a versatile high speed microcentrifuge, ideal for clinical, molecular and bacteriological applications. Microcentrifuge, 18 place 1.5 / 2.0 mL rotor, 18 x 0.5 mL adaptors and user manual. What applications can the Micro 12™ be used for? Are adaptors needed for different sized tubes?? Adaptors are available for tubes smaller than 1.5 mL. Additionally adaptors are available for tube strips. How often should Micro 12 be cleaned? All parts should be wiped down periodically with a soft cloth. For more thorough cleaning, use a neutral cleaning agent (pH between 6 and 8) applied with a soft cloth. Excessive amounts of liquid should be avoided. Liquid should not come into contact with the motor. After cleaning, ensure that all parts are dried thoroughly by hand or in a warm air cabinet (maximum temperature 50ºC). The rotor should be cleaned after each use. When spinning samples containing phenol or phenol chloroform, the rotor should be cleaned immediately after use. Is there a manufacturer's warranty? 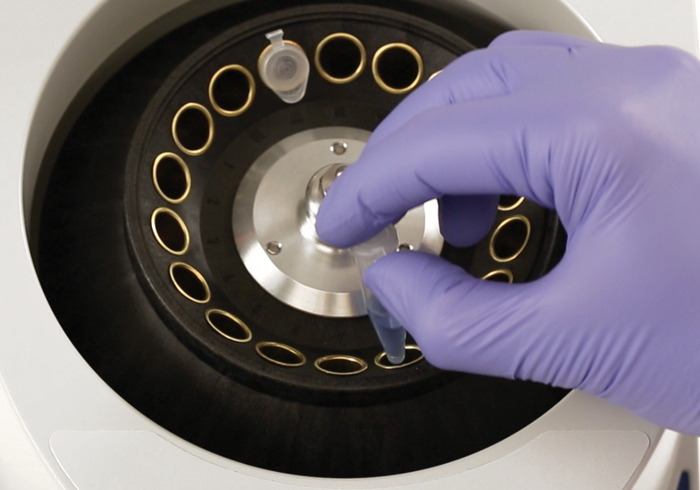 The Micro 12™ centrifuge has been subject to thorough testing and quality control. In the unlikely event of a manufacturing fault, our one year warranty (from the date of delivery) covers the centrifuge and the rotor.